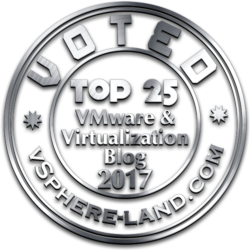 During the first day of the VMworld US, VMware has updated (and changed) its certifications page by adding more certifications (some available soon) and by defining two new certification paths. Professional: with at least one VCP exam (and note that the existing VCP5 certification will be renamed in VCP5-DV, that VCP5-DT and VCP5-IaaS are also available, and that there is another VCP certification in the Cloud path). 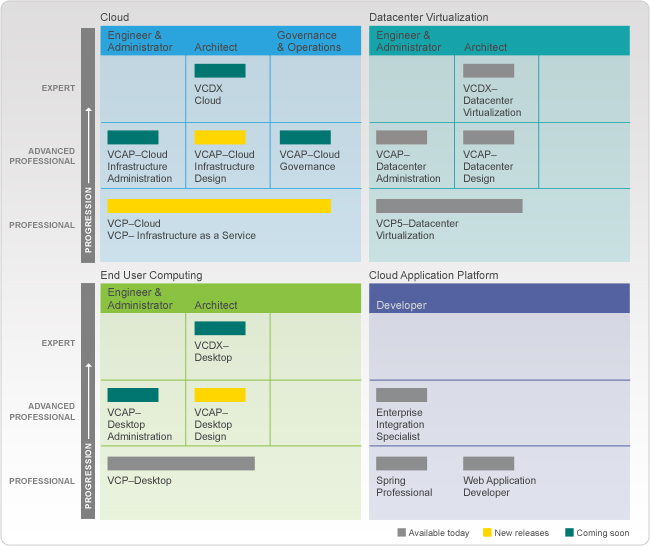 Advanced: with at least two VCAP exam (one for the Administration and one for the Design part; note that the EUC path will have also two VCAP-DT exam, and that there is a third exam for the Cloud path). Expert: with the VCDX level (and existing VCDX certification will probably become VCDX-DV). 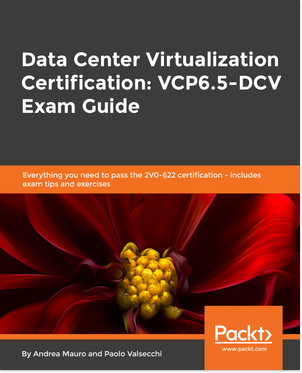 Not all the exams are required: there will be some form of vertical propagation like that one for the VCAP-DV (if you get a VCAP5-DV and you are VCP4 than you become VCP5, for a limited time window). 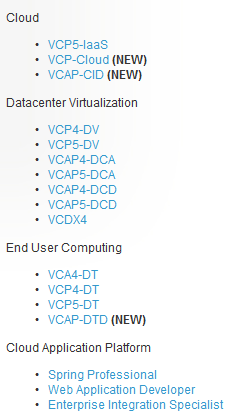 There will be also a horizontal one, like the one explained form VCP5-Cloud (if you are VCP5-DV and also VCP5-IaaS you become VCP5-Cloud). 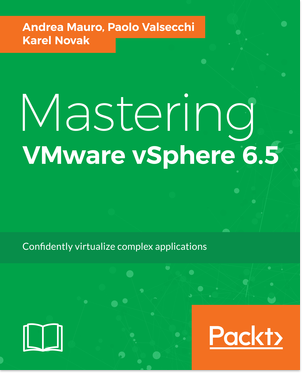 There could be (but I cannot give more details) some cross-paths solutions (especially for the VCDX level). The entry level is the Profession one and no more the Associated (in fact the VCA5-DT does not exist). The reason is that there was not enough demand on it. But could be reintroduced in the future. So what are you waiting? Find your path and plan you level! IMHO, I think that the DV and Cloud path may someday become a single path, and maybe a specific path for Business Continuity may be added (or at least a VCAP exam). For the EUC path actually is only about View, but I think that may, in the future, include also the entire suite (Horizon and also Mirage). Also I think that the “silo approach” may not be best idea… why not a simple one like using a specialization approach? But again… those siloes may have some cross-paths… so could be better see the final schema.